Clarion SRV202 - Inside the deluxe leather type MDF enclosure is a 120 W max. amplifier that supports a powerful sound driving experience. Clarion SRV202 drives the subwoofer system and delivers clear and strong bass sounds. Equipped with RCA/speaker level inputs, this subwoofer can be easily integrated using existing speaker connections. https://www.caraudiocentre.co.uk/product_m-clarion-srv202-jw1000_p-21899.htm 21899 SRV202 Basstube Built-in Amplifier. Free Wiring https://www.caraudiocentre.co.uk/productimages/full/phone.jpg 84.99 GBP Discontinued Clarion SRV202 - Inside the deluxe leather type MDF enclosure is a 120 W max. amplifier that supports a powerful sound driving experience. Clarion SRV202 drives the subwoofer system and delivers clear and strong bass sounds. 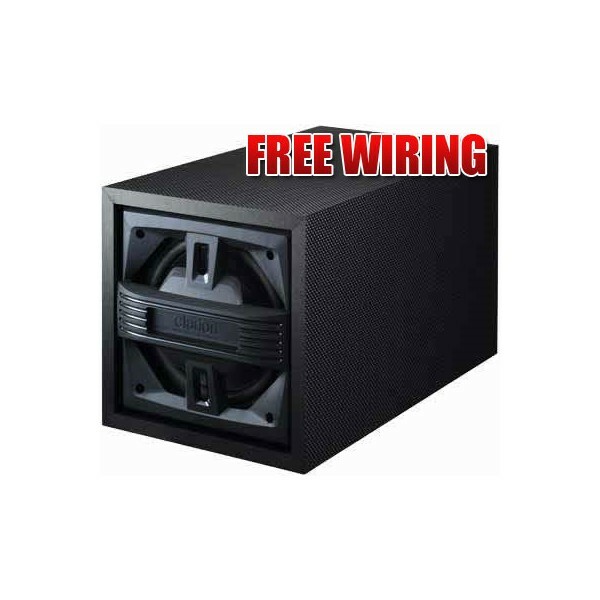 Equipped with RCA/speaker level inputs, this subwoofer can be easily integrated using existing speaker connections.